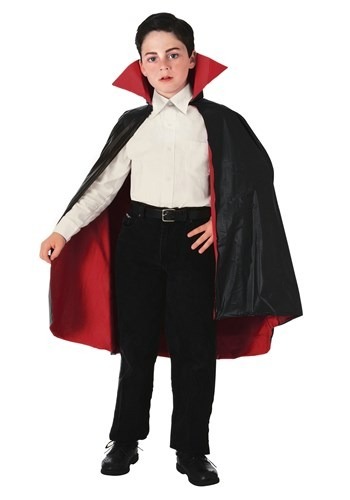 Well, Halloween is right around the corner again and if you want your kiddo to be the best vampire in the neighborhood then you need to have the perfect accessories. When you complete his monstrous transformation with this Child Reversible Vampire Cape, you’ll have the best-dressed vamp in town. He will be more than ready to run off into the night and collect plenty of treats.